JA resorts, the legacy UAE brand is gearing up to open a third hotel, The JA Lake View Hotel this year. 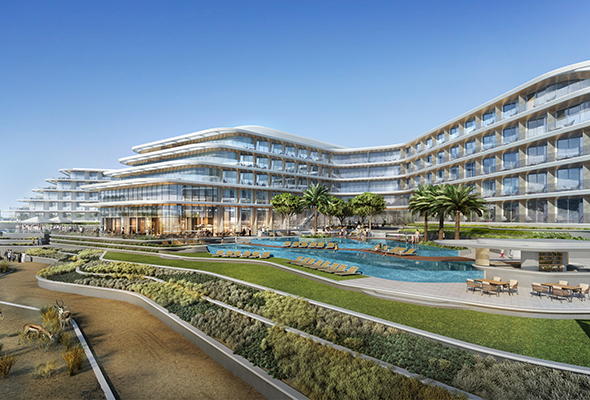 The 5-star hotel will join JA Beach Hotel and the all-suite JA Palm Tree Court on the 128-acre estate – making it Dubai’s Largest Experience Resort. 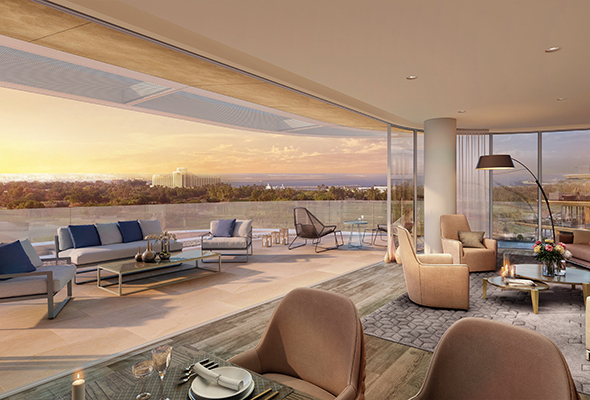 It will bring an additional 348 luxurious rooms and suites to the area, and will include three outdoor swimming pools and five meeting rooms. The hotel’s opening will welcome new and exciting restaurant concepts by award-winning chefs including the launch of a vibrant Indian restaurant Kinara, headed by James Beard and chef Vikas Khanna, an internationally acclaimed Indian chef. Other restaurants that the hotel will host will be 81, an all-day dining buffet restaurant which will feature breakfast and dinner with live cooking stations, Republik, a gastropub with Friday brunches and a live DJ, and Bibé, the contemporary rooftop bar that offers fantastic views of the golf course and Arabian sea. The JA Resort claims over 1 million square metres of activities and a variety of leisure facilities including seven landscaped swimming pools, golf courses, mini-golf course, tennis, squash and badminton courts, horse riding stables and an array of watersports including the Watercooled Watersports Centre that offers water-skiing, windsurfing, jet-skiing, banana boats, and more. It also has a private 85-berth full-service marina offering fishing trips, boat trips and seaplane flights and boasts 6 shooting ranges, Calm Spa, a 1,100m2 bio-garden, a crèche, CoolZone Kids’ Club, ChillZone Teens’ Club and babysitting service.